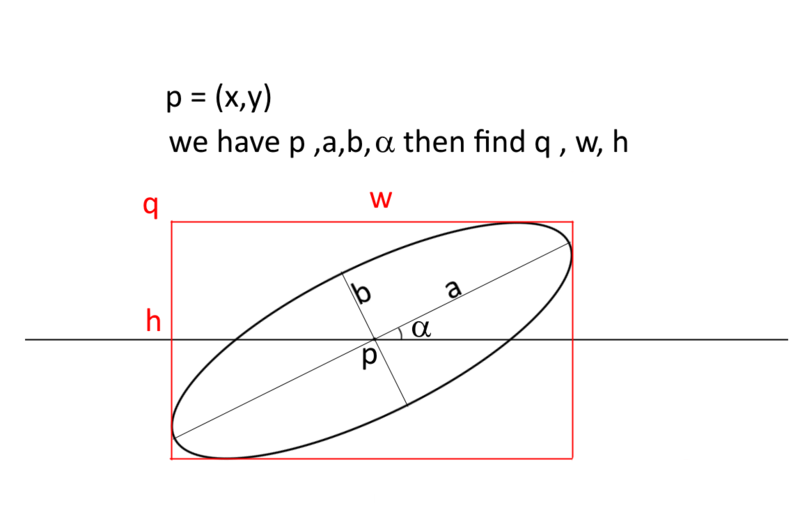 Suppose have arbitrary ellipse with center (x,y) and its radius (a,b) . I want obtain rectangle that sides tangent of peripheral ellipse. the below image describe issue .